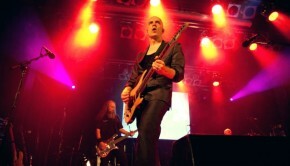 Devin Townsend is a musician who confounds the average listener. The musical variety and creativity evident in his work is on par with the diverse influences in his writing. His style is not for the faint of heart though, and a general love for music is a must for all fans of his. This album is clearly best for those who have an understanding of progressive music, and simultaneously like metal and orchestral pieces. Having said that, I would like to note that I am not the most familiar with Devin’s other works. I can tell, however, that Empath is certainly a worthy competitor to all of his other compositions. Empath was intended to be a journey of emotions for the listener, allowing them to empathise with the various emotions portrayed in each piece (and believe me, there are many). Devin has stated that he wanted to make a piece that defined him – certainly an accurate label for this album. My main focus in this review was to judge this album’s effectiveness at portraying emotions and the musical ideas present in each track. And now, knowing a bit about the album and the intentions behind it, let us take a look at the music. 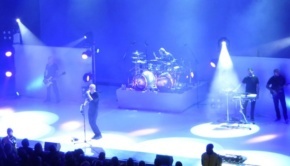 “Tell us a Story”, a choir requests at the beginning of Genesis, and Devin definitely tells a unique and twisting tale in this song. Spanning countless genres, this tightly packed burst of madness sums up the album quite well, with a mood of discovery and a journey apparent through the constant changes. Despite the variety of sound going on in this track, it is surprisingly accessible and many portions end up stuck in one’s head. Introducing the recurrent theme of love in this record, the incredibly well-written Spirits Will Collide has much less going on than most other pieces from Empath. However, I can appreciate this song in the context of the album – it fits nicely. Despite the lack of extreme variety, it is still a piece of music worth listening to, and fits some interesting concepts in, as well. Before I started reviewing this album, I heard the two singles that Devin released, and although I loved Genesis, my favourite was Evermore. Featuring some interesting contrast between intense and calm (i.e. blast-beats leading into synth and bass funk-like riffs), this is another song in which a lot ends up happening. Evermore also happens to be one of the most progressive songs on the album. It keeps a flowing mood throughout, despite the constant change, which is probably the thing I respect the most about this track. It seems almost as though a children’s book writer was involved with the introduction of Sprite, but this is certainly not an overly happy song or trite in the slightest. There is a level of anticipation in the generally reserved emotions, and it feels as though one is about to discover something in the continuous, uniquely arranged chords. The vocal layering going on in this track is impressive, and particularly, the screams on top of clean vocals produces quite a nice effect. If you like intense music, Hear Me is likely to be one of your favourite songs on Empath. It is overwhelming, with plenty of dissonance and it is the embodiment of the feeling of losing control. This is further promoted in the lyrics, featuring lines such as “All the world is bleeding”, and “All the hatred, burning”. Extreme metal with constant variation generally makes up the instrumental portion of this track, which I personally enjoy. These generally panic-driven emotions are quite a different approach to the majority of the album, but it makes for a good change of pace, and definitely generates stronger emotions through contrast. Reminiscent of a Broadway musical or a waltz, Why? is a song about loss and doubt, which maintains a generally joyous instrumental style throughout, for the most part. It has a bit of hidden insanity within it, but there is a good contrast between what happens lyrically and the instrumentals. I cannot help but feel that conflicting emotions, self-doubt, and loss are the central themes of this song. The small changes and instrumentals kept me guessing throughout. Upon first listen, Borderlands can be almost unsettling in certain portions, but ends up striking a great balance between completely comprehensible and confusing madness. Devin’s “wall-of-sound” mixing certainly helps to reinforce this. I love this track because it ties together so well, and the transition to the ending is so smooth that everything fits together perfectly. The one minor gripe that I have with this song is the extended ambient section in the middle. Although this does serve to provide a fantastic segue into the next portion of the song, there is a significant amount of time that passes without drastic change. Regardless, the rest of the track works quite well, and it is tremendously beneficial to the album as a whole. Requiem is the prelude to the closing epic, and does its job well. It makes one feel as though they are in an action movie, and the protagonist is about to discover some ancient secret, buried deep in the dungeons of progressive metal. Something is about to happen, and that thing is Singularity. Clocking in at almost 24 minutes, Singularity is the epic masterpiece of this album. If Devin Townsend writes a song of this length, he makes sure that the scale of the song is vast and grand. Shortly into the song the feeling of potential and the opportunity of discovery is portrayed nicely, with lyrics slowly starting to contrast the emotions present in the instrumentals. A ridiculous number of musical ideas are expressed in the following minutes, working together well. The final few minutes of the song are a fantastic closer to the album. One thing I admire about Singularity is the atmosphere building at various points, especially using instrumentals, suggesting mechanical, majestic, and outright chaotic themes. Groovy metal riffs, catchy vocal choirs, and abstract portions all promote these. I cannot begin to sum up all of the musical ideas used in Singularity, but the key thing which I must explain is how they fit together. Several transitions, from around the 13-minute mark onwards, are so extreme that their ability to blend together is all thanks to Devin’s mixing style. This song inspires one to imagine a variety of visual scenes, without transitions that interrupt the experience. Some musicians put their albums together as collections of singles, without sparing much thought for cohesion. The most striking thing to me about Empath is its structure. Each song works well on its own, but together, they flourish and give the listener an experience greater than many other albums can offer. This flow, along with the ability to instil emotions in the listener, are the two key aspects of this album. In addition, the variety within the songs helps to keep things fresh, and make them stand out from one another in a beautiful way. Ultimately, this is a stellar record. 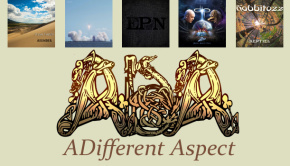 Spanning a multitude of genres, it’s unique in a way which makes it truly stand out. This is not a grouping of songs, but a collection of ideas which must be experienced in order to truly understand everything present and gain a better idea of exactly what is happening. It is clear that every detail has been given attention, and no possibility is left without being used. 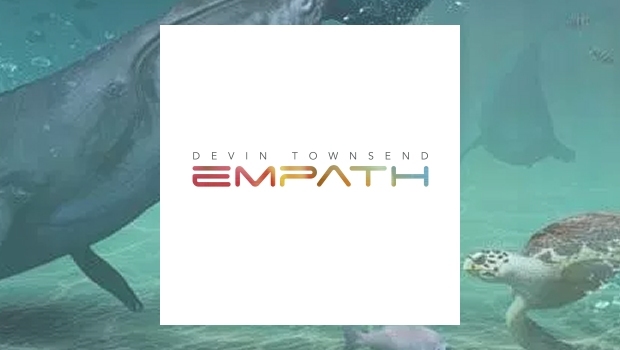 Empath is truly one of Devin’s most personal and emotional achievements. I have heard it many times, and I am excited to experience it again and again in the future.